I ask a lot of the people that follow my work, and I am all too well aware of that fact. Between constant links to Reception Perception articles, and just as frequently pictures of my dog, its a wonder any of you can put up with following me on Twitter. Believe me, that already means more to me than I can express to you. However, if you never read another article of mine or listen to another podcast appearance, that would be fine with me, if you could find time for this one simple request. I have a short list of people who are near and dear to me in this world that I would drop everything and do anything for. One of them has had her older brother missing in Syria since August of 2012. Austin Tice is an award winning journalist, and a good man, who was taken without answers. There is every reason to believe he is still alive. His sister, and by extension the Tice family, is very important to me. They deserve to see their loved one return safely home and be welcomed as the inspirational figure that he is. If you could, do your part to make this happen for us. 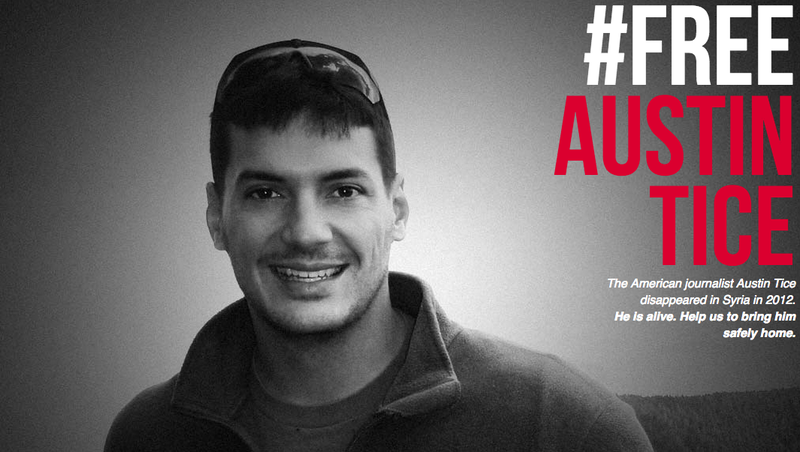 Please sign the petition and help spread awareness by sharing the post using the #FreeAustinTice tag on social media platforms. We are not gifted many things in this life, but one of them is a voice. I hope you use yours in any way you feel able to assist in this cause. Thank you so much for your attention, and your action. If you do sign the petition and share the message, please reach out to me via email (mharmon2570@gmail.com) or through Twitter. As I want to personally thank you for what you've done in making something that I desperately am hoping for a reality.